Please enter any important commentary or requests. The SCARE Concept Check validates your overall manuscript concept, form, and other characteristics before the work is completed to help you design marketing strategies and tactics more effectively. 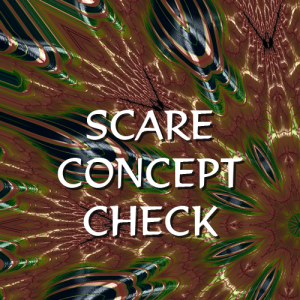 The concept check provides evaluation and commentary along with the SCARE and characterization matrices for the manuscript. Then it's evaluated against your target audience profiles to identify those that match most closely to your work. This iteration and validation keeps rewrites and extensive edits to a minimum. It also gives you invaluable feedback on what audience is the best fit for your work.